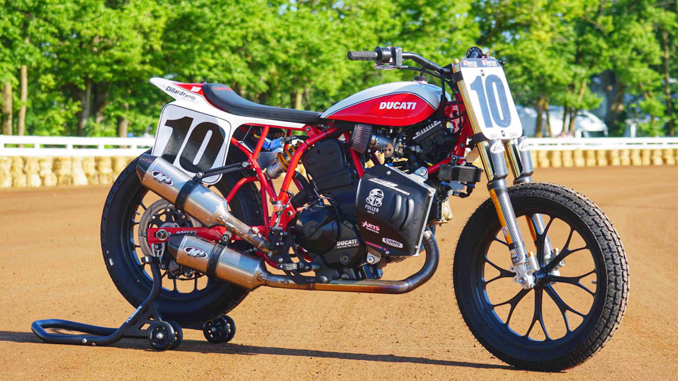 DAYTONA BEACH, FL – March 5, 2018 – With an American Flat Track contingency offering from Ducati of more than $180,000 for the 2018 season, what was already the largest contingency pool in the history of the sport has now surpassed the $2 million mark. American Flat Track will kick off its highly-anticipated 2018 season with the Bigger, Better, and Faster Harley-Davidson TT presented by Russ Brown Motorcycle Attorneys at DAYTONA under the lights inside the fabled trioval at Daytona International Speedway on Thursday, March 15, 2018. Tickets start at just $30 and are available for purchase now at www.daytonainternationalspeedway.com/Events/2018/DAYTONA-TT/DAYTONA-TT.aspx or by calling 1-800-PITSHOP.